Today only on Amazon you get the FlipPix Art - Simple Pleasures Android App for FREE! 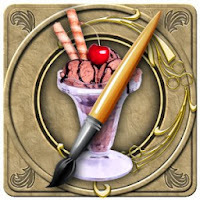 FlipPix Art - Simple Pleasures is now designed for both phones and tablets! FlipPix Art - Simple Pleasures brings to mind the joys of daily life with puzzles related to home, art, and hobbies. Simple Pleasures consists of 7 Paintings containing 81 different puzzles in 3 sizes, for a total of 243 puzzles. Also known as nonograms or griddlers, FlipPix Art - Simple Pleasures puzzles are designed specifically for both phones and tablets. An old Japanese logic puzzle takes on a new look with FlipPix Art! Touch tiles to paint them or break them to form colorful components of paintings. The goal is to use logic to determine which tiles should be filled to reveal a hidden picture. Also included is a 8th Bonus scene for loyal customers which contains an additional set of 12 puzzles in 3 sizes.